Brands nowadays have embedded on social media. You can place paid advertisements on social networking sites where anyone can see them. You can reach a lot of people as many users have been active in popular social media sites like Facebook, Instagram and Twitter. But managing the business is hard enough already and handling social media accounts only adds up to the things you need to juggle. And learning each and every one of the loops in social media takes time and effort. Besides the learning process, you have to monitor all your accounts while keeping your business afloat. Good thing there are many social media marketing tools you can use in organizing your accounts. 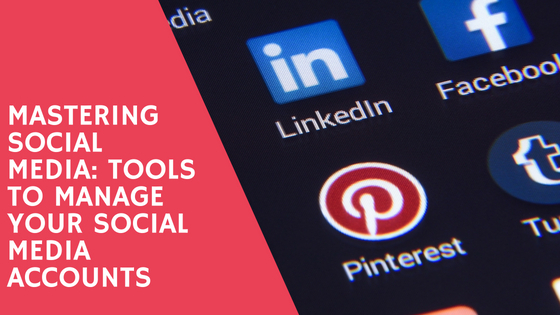 With these tools you can plan ahead things you want to post in a specific social media website and you can visualize how media websites take time and effort. Knowing ways on how to manage your account is very important—how your account is going to look like, preventing redundant and erroneous posts, observing your accounts and finally, having some time for yourself. Maintaining a professional social media account might cost but spending for your brand’s accounts is an investment. Investing for social media intelligence will eventually help your brand be known, monitor your weaknesses and know your competitors. You will be able to know the possible future problems and you can study your clients. One of the tools you can use to monitor social media accounts is Buzzlogix. It is a simple software that gives you a wide array of options in managing your accounts. Buzzlogix has different features you can use for accessible and easier management of the social media accounts of your brand. Some of the features are: wizard-based configuration, hashtag suggestions, BuzzAlert notifications, sentiment analysis, smart reporting, template-based streams, text analysis, custom dashboards and automated social posting. Buzzlogix claims that using the software will result to “increased social media performance resulting in better services and sales.” With this software, you can know when people are talking about your brand, people will have raised awareness in your brand and it will also be helpful as the program can help you monitor competitors. With its dashboard, you can monitor all your accounts easily. It also offers spam-free, real-time data and support many languages. Buzzlogix also identifies social media influencers and keywords are monitored too. You can also look for specific terms or keywords. 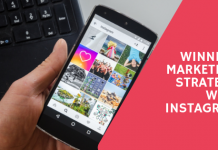 For those who would want to establish a good image and voice on Instagram, the software Later is what’s best for you. As the name implies, Later is a software which plans and schedules your posts on the image-sharing application. With Later, you can visualize your feed and can therefore know if it is visually appealing and if the pictures are coherent. Having an orderly and thematic feed can attract users and might get the brand more following. In Instagram, posting photos always will help your brand be seen by different users. It has already more than 600,000 users. SumAll is a software you can use to study and understand your data. You can link your social media accounts and the program will collect your analytics. It will make work easier as SumAll, as the name suggests, will summarize and collate the data from your social media accounts and compile them in one report. 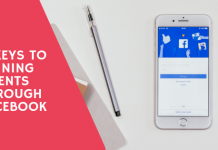 Understanding and comprehending the data from your brand’s social media accounts is difficult but it is more difficult to organize and keep track of all the data you have gathered. SumAll will concise all the numbers and will present it to you in a more orderly report. Teamwork, founded in 2007, is a software which allows designation of works in marketing teams. It can help you manage your employees. You can plan ahead of your plans about your brand and visualize the time it takes to complete it. Some of its clients are Disney, Ebay, Lenovo and Louis Vuitton. Teamwork offers Teamwork Projects, Teamwork Chat and Teamwork Desk. For times that you are busy and see something you like on the Internet, which should really be posted in your account or can inspire you in imaging your brand, Pocket is the program to have. Pocket allows you to save whatever you want to save. It is like bookmarking the things you want to read. It gives you the chance to save videos, news and many other things for later viewing. What’s good is that Pocket allows you to view the things you have saved even when you are offline. It is merged with other social media websites, making it possible for the users to save other stuff from these sites. Zest does the job for you; literally. The program generates posts for marketers, making it easier to find more marketing related articles to save time. This is especially useful for marketers who want ideas and this application offers a range of marketing articles suggested by other marketers as well. Zest is a platform where marketers can share their ideas. You can also opt to search for some tags that you specifically want to read about. If you really cannot organize your accounts and they have become chaotic, Visually is the program to have. Visually, which its name implies, is a place where you can find creative people who design contents for your brand. Not blessed with the artistic talent and fed up trying to have an appealing feed? You can turn to the people in Visually as they are sure to help you have an impressive feed. You can ask for infographics, reports or presentations, videos, among others, to improve your accounts, for a price of course. If you are a little tight on money and badly need visually appealing content for your brand, then Canva is your go-to program. It offers free templates you can use to create amazing works. It is used by more than 10 million people and some even claims that it is the “easiest” designing tool. It can edit photos, create color palette and font combinations that suits your liking. Previous articleWhat is Pay Per Click ? Why It’s Important for every business? 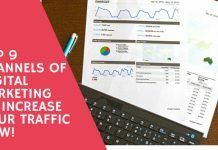 Next articleTop 9 Channels of Digital Marketing to Increase Your Traffic Now!